During the past couple of years the visiting crews of the International Space Station (ISS) shot some truly awe-inspiring time-lapse sequences flying over practically every square mile of the globe. Perhaps not busy enough with my own time-lapse projects, I downloaded the high-resolution image sets made available by the NASA Johnson Space Center and constructed this short time-lapse film. The film project required the processing of more than 84GB of data (amounting to more than 66K JPEG images). It could be easily appreciated that the astronauts encountered very challenging lighting conditions in orbit. Often, it was necessary for the ISS crew to shoot at high ISO values in order to achieve the desired exposure. In order to get the smooth, contrasty look I was aiming for, I used the tools provided by Adobe Lightroom to increase contrast and drastically reduce the noise in the NASA images. The results speak for themselves, as the opening sequences could almost justify a subtitle like “Alien Earth Edition”, such is the surreal nature of these unique views of our home planet from the perspective of the ISS in low earth orbit. Images courtesy of the Image Science & Analysis Laboratory, NASA Johnson Space Center available here. Technique: The majority of the images were shot at 1 second intervals, ISO 200-12800.
:: Used GBDeflicker for the image sets with shorter exposure times. Highly recommended. Soundtrack: “Sunlight” by machinimasound.com licensed under a Creative Commons Attribution 3.0 License. 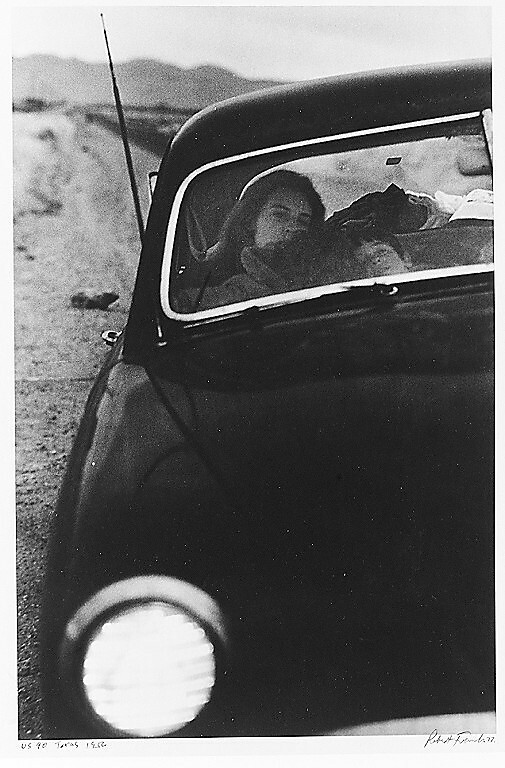 Robert Frank was born in Switzerland in 1924 and raised in a Jewish household in Zurich. He moved to New York in 1947. His photo essay, “The Americans,” resulted from a journey that he undertook by car starting in June 1955 during which he photographed the people and places that he encountered along the way. In fact, he took some twenty-seven thousand photographs which he eventually whittled down to the 83 images that were published in book-form in 1958. Frank’s book evoked strong reactions from many quarters at the time of its publication. He was even accused of being “unAmerican” – perhaps due to the critical commentary on contemporary urban life in America that was delivered by his stark black & white imagery. I was particularly drawn to this image of the trolley car taken by Frank in New Orleans, due to its depiction of social degradation resulting from the racial segregation of those times. Robert’s framing of this picture delivers a sharp, metaphorically driven focus on the distinctions being made in society at that time between the rights of “whites” and “blacks”. We, as present-day viewers, can only be revolted that such ignorance and prejudice could in any way have existed. However, at the time of the publication of this photographic collection, there was a certain degree of outrage about the “unAmerican” reporting that had been carried out by Robert Frank. Such reactions from the past and present give lie to any assertion that the image itself is essentially benign, despite the fact that there is no violence of any kind depicted. The subject of this photo is the ordinary citizens of New Orleans, going about their business, and peering through the windows of the trolley car. This has been made clear through the framing of this photograph, which deliberately excludes all other paraphernalia that might distract the viewer’s attention. Indeed, we understand that Frank meticulously cropped many of the images prior to publication. The tension in this scene is clearly palpable through the stern and miserable face of the woman who has her hands clasped tightly upon her purse. And then there is the stark contrast between the white boy and black man behind him. They’re clearly different colors. They’re quite obviously a generation apart in age. But the viewer is unwittingly drawn to the disarmingly similar gesture of the two, with their arms leaning on the window of the trolley car. I consider that this image is far from innocent. Its depiction of a perfectly ordinary urban scene fails to mask the smouldering malevolence of racial segregation, with whites at the front of the trolley car and blacks behind. This, I would argue, was the photographer’s intent. Back in the mid-fifties, to actually present opinion on this subject matter in written form – to dare to question the sense and purpose of the inequalities arising from racial segregation – would simply not have been tolerated by the political class. Especially coming as it would have from an “alien” and a “Jew!” It would have been inconceivable to even consider it. Because words are powerful. They can be misappropriated, ultimately judged and even prosecuted. Words take on a life of their own. But Frank managed to make a statement about what he saw. Not by unequivocally writing it down black-on-white; but cleverly – and perhaps not a little devilishly – through the publication of his photographs in black-and-white. Apart from being appreciated technically, a photograph is ultimately treated subjectively. And Frank was highly circumspect with his descriptions of the images in the first edition of his book. He left the burden of interpretation almost entirely upon the viewer. This was his masterstroke. Many years later writing text to accompany the auction of this very picture, Frank observed: “life for a photographer cannot be a matter of indifference. Opinion often consists of a kind of criticism. But criticism can come out of love. It is important to see what is invisible to others.” Clearly, and even without the benefit of hindsight, Frank was not (and could not) be indifferent to what he saw and photographed. One should recall the background of those times. Frank had emigrated from a Europe that had been torn apart by the barbarism of Hitler’s ideological war. As targets of hatred during that dreadful period, Frank and his family would have experienced hardship at best and the threat of extermination at worst. Essentially, Frank had intimate personal experience about the ultimate path that blind racial intolerance could follow. My interpretation of his decision to publish this photographic essay was that he felt a duty of care to highlight exactly those dangers. Frank’s images served as a “wake-up call” to American society. He saw what others did not; what had hitherto been invisible. I would assert that the conclusion to be drawn by the viewer of this photograph is quite naturally: “what is the sense of this inequality?” And that conclusion would be drawn regardless of whether one is viewing this image at the time of its publication or with the benefit of hindsight today. Image source: Los Angeles Times (accessed on May 6, 2012). The New Yorker (accessed on May 6, 2012). Los Angeles Times – Culture Monster (accessed on May 6, 2012). Artnet (accessed on May 6, 2012). Christie’s Auction House (accessed on May 6, 2012). I downloaded the high-resolution image sets made available by the NASA Johnson Space Center and constructed this short time-lapse film in hi-res 2K project format. I was amazed at how clean the Nikon D3S images turned out (even at ISO 3200 and above) which kept the post-processing requirements to a minimum. Soundtrack: “Rallying the Defense” by machinimamound.com licensed under a Creative Commons Attribution 3.0 License. A brief essay from our trip to Lake Constance in November 2011. Check out the juggler and the amazing sunset as we sailed back to Konstanz. Camera: Nikon D700 + Nikkor 28-300 f/3.5-5.6 G fitted with a B+W Circular Polarizing Filter or B+W Neutral Density Filter. Technique: Manual, ISO 200, 1/2 second exposure (“dragging the shutter”) with aperture set anywhere between f/5.6 and f/11. The images were shot at 1 second intervals. Soundtrack: “Winter Dawn” by MachinimaSound.com licensed under a Creative Commons Attribution 3.0 License. This time-lapse film was created for the Disposable Film Festival Health Competition 2011. It chronicles an evening in early September 2011 during which a beautiful woman visits her very good friend and hairdresser for a makeover session. The film begins by revealing that the woman is suffering from a serious illness. The viewer is shocked to learn about the real purpose of the visit. Clearly, this woman’s view of herself will never be quite the same again.